Tourmaline crystals are not only much sought after gemstones but also are highly interesting as study objects, because on them the formative forces in the mineral kingdom create an impressive richness of shapes and colors. 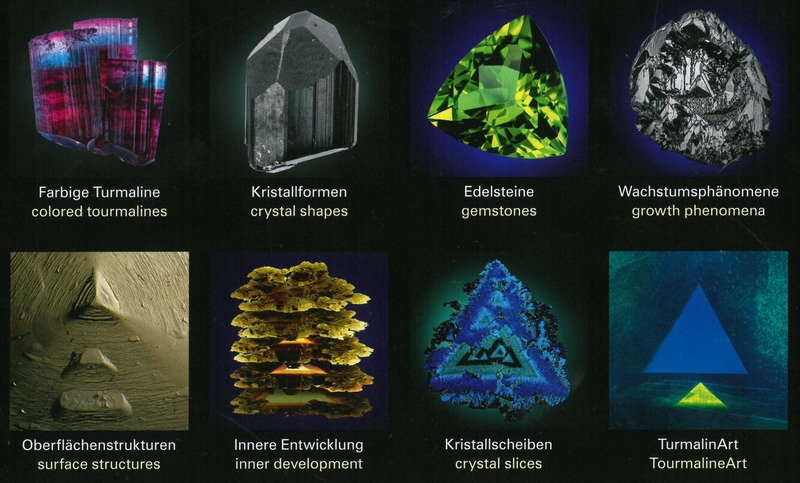 Especially the research of the inner of dark or even black crystals is very exciting. 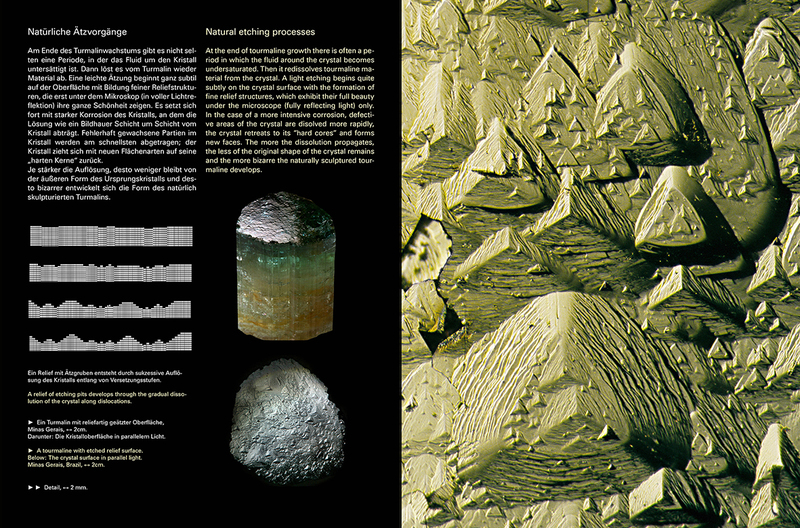 When slices of such crystals are ground thinner, beautiful fine structures appear out of the dark. 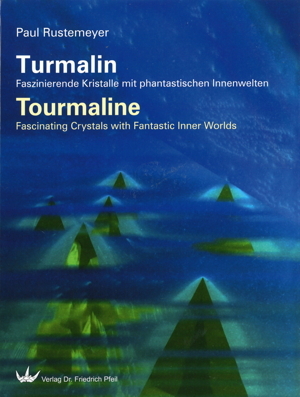 This is the way in which fantastic and detailed picture worlds have been discovered; they are presented in this book as TourmalineArt and put into a natural scientific framework, but which is generally understandable. 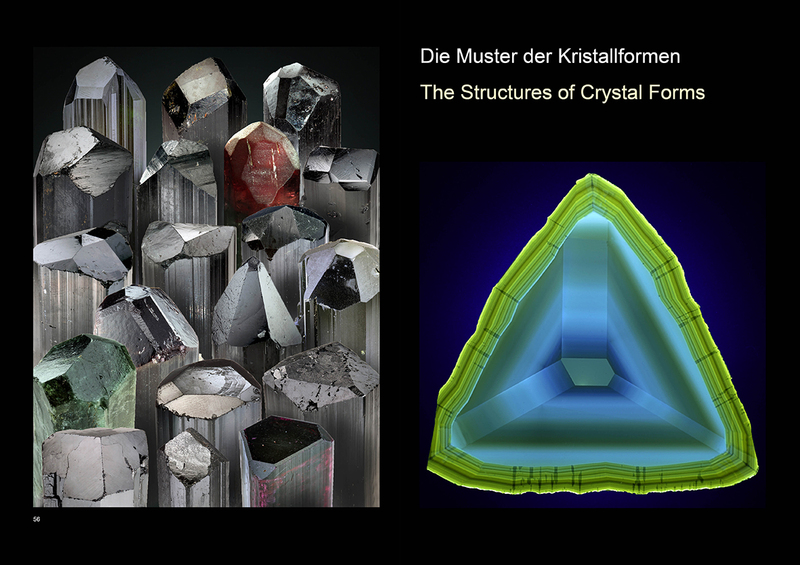 The author has been dealing for more than 20 years with the aesthetics of the color pattern and their mineralogical interpretation; he put together the very best and most interesting of thousands of crystals in this book. 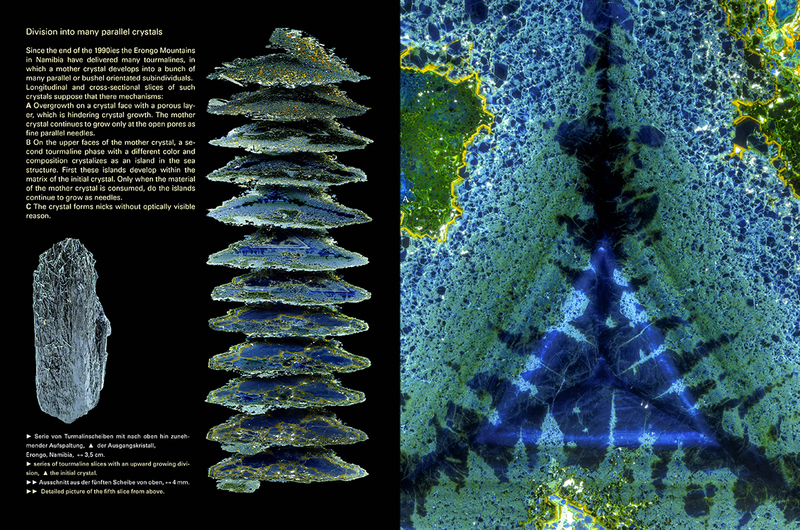 The fantastic photos of the hidden structures within tourmalines make this book a feast for the eyes also for the lay public. 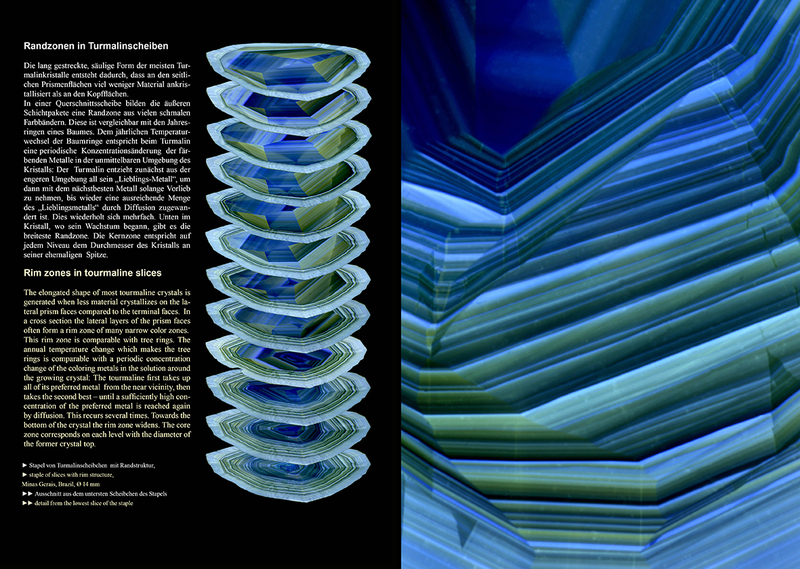 illustrative content from the back cover. Select for full page view.